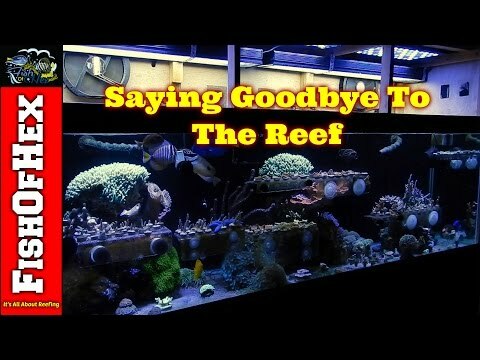 When I moved to my new house I had an opportunity to rebuild my reef. I planed on building a new stronger and taller stand with a bigger enclosed canopy. I used a 55 gallon custom sump with a refugium section. Im currenty growing chaeto and caulerpa algae. The 125 gallon tank has a low profile overflow box and two returns along with two manifolds to assist with powering the reactors and dosing the tank. Everything is powered with a Jabeo DC6000 return pump. I'm using my existing skimmer, apex, lights, heater, reactors and dosing pump. I use a drilled mini fridge for dosing cold foods. I will be using 2/3 of a 55 gallon sump to hold chaeto, caulerpa. The MDT will have approx 150 pounds of rock. I'm using a curve 7 skimmer and biopellet reactor. The MDT will have three AquaMars 165 watt Led lights along side 4 T5 HO 10k and Actinic bulbs. I will be powering the Refugium with two 100 watt Led spot light bulbs. My flow will consist of one 1200 gph powerhead, wave maker and return pump. 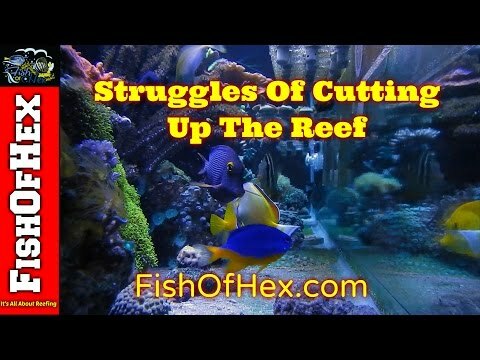 I currently have one sailfin tang, yellow tang, lion fish, Maroon clown, two damsels, snowflake eel, cleaner shrimp and a scooter blenny. I plan on adding a hippo tang and a powder brown tang at some point. Im really focusing on filling the reef with all types of coral. Brain Coral, Favites Favites spp. Radioactive Dragon Eye (Zoanthid) Zoanthus sp. 120 Cerith Snail Cerithium sp. 3 Cerith Snail Large Cerithium sp. 20 Nassarius Snail Nassarius sp. 5 Nerite Snail Nerita sp. Serpent Sea Star Ophioderma sp. I believe that consistent dosing is the key to keeping stable levels. I use an auto dosing pump for calcium, alkalinity, magnesium and strontium. 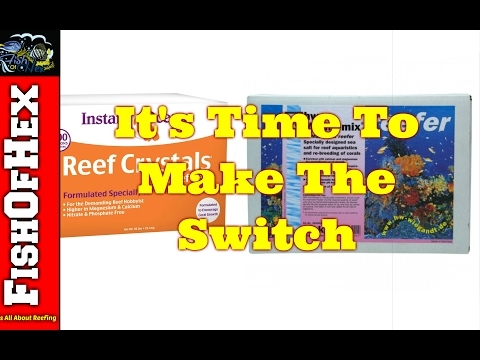 I dose reef vitamin, zoo and phytoplankton by hand. I plan on adding another pump in the future. I feed zooplankton, phytoplankton, marine snow, nori, brine shrimp, mysis shrimp, krill and silversides. I like to mix up what i feed during the week. My maintenance will be conducted on a daily, weekly and monthly basis depending on the needs of the tank. Daily glass and skimmer cup cleaning. Weekly or by weekly water changes depending on bio load and monthly equipment cleaning. I will be conducting water test weekly as i did before. On average you perform a 14.3% water change every 8 days. With all the cutting of the reef I need to now adjust my alk/cal daily dosing. I had a small alk spike over the last couple days. Left WP40 stopped working yesterday.. I cleaned them overnight and both are back to normal. I guess cleaning them every 5 months isnt enough. Mag was a little low dosed 1000ml and will dose the other 1000ml tomorrow. My overall goal for this tank is to build a sps dominant tank with only a handful of fish. I want to provide high quality and stable water conditions to promote rapid coral growth. The more you know the more you grow. Put the time and research into what it really takes to be successful and get facts from multiple sources. You can't possibly know everything but it doesn't hurt to try. 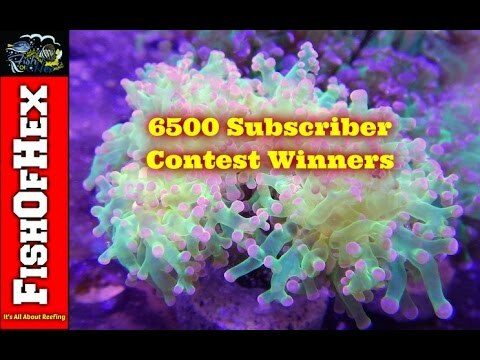 Not doing saltwater 10 years ago because I thought it was to hard.